Triple Group One winner Happy Clapper will head to Melbourne if he doesn’t gain an Everest slot. Sydney’s second favourite horse could run exclusively in Melbourne throughout the spring if he doesn’t gain a berth in The Everest. With only two slots remaining in October’s $13 million race at Randwick, Happy Clapper has so far been overlooked. Trainer Pat Webster isn’t holding out much hope of the triple Group One winner getting a start in the 1200m sprint and is eyeing a Melbourne campaign. “The old saying is you run out of horse before you run out of races and there’s plenty of races for him,” Webster told RSN927. “I think people have doubts on him over 1200 metres, but he runs well fresh and he did win over 1300 metres last campaign. Webster said Happy Clapper was likely to start his Group One campaign in the Memsie Stakes (1400m) at Caulfield on September 1. He could then progress to the Makybe Diva Stakes at Flemington on September 15 into the Underwood Stakes on September 30 and then the Caulfield Stakes on October 13. 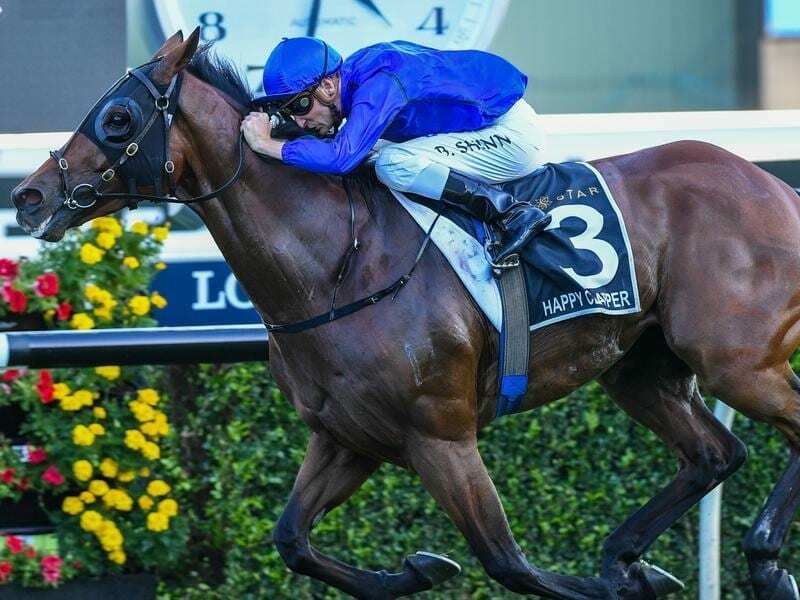 Webster indicated Happy Clapper could be freshened for the Cantala Stakes at Flemington on November 3 before the Emirates Stakes (2000m) a week later. Webster hasn’t ruled out a start in the Cox Plate on October 27, a race Happy Clapper finished sixth in last year. “I’ll be bypassing something in it (Winx) but you never say never,” Webster said. “With a horse like him we just take it each day as it comes. Happy Clapper had his first trial back on Monday under Blake Shinn, finishing fifth behind Siege Of Quebec over 900m at Randwick. “The feedback from the jockey was good and he didn’t have much of a blow,” Webster said.